By Katie Behrens. Jun 26, 2015. 9:00 AM. J.R.R. Tolkien is widely credited with laying the foundation for the modern fantasy genre for adults in the 1950s with his Lord of the Rings trilogy. Adult readers had found a new taste for imagination, and it's only grown stronger. Both publishers and Hollywood executives can’t seem to get enough of magic, dragons, wizards, and the like. The following authors and books have certainly helped us on our way there. It wouldn’t be fair to give all the credit of early fantasy to Tolkien. His colleague C.S. Lewis found great success with The Chronicles of Narnia, and Ursula K. LeGuin began publishing her Earthsea series in 1968. Even though both Lewis and LeGuin were and are considered children’s authors, their readers ranged from the young to the old. Publishers rushed to get fantasy books to press in order to cash in on Tolkien’s success and reader desire for more of the same. Many of the books to come out of that push aren’t household names today. 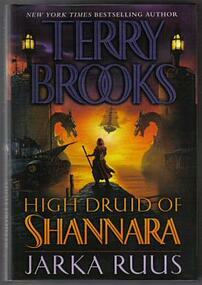 Finally, in 1977, The Sword of Shannara by Terry Brooks captured readers’ attention, though critics claimed it too closely resembled Tolkien’s work. It followed the high epic fantasy model, set in a completely imaginary world where magic is common. The 1980s saw the beginning and rise in popularity of Terry Pratchett’s long-running Discworld series, which routinely made bestselling charts during the ‘90s and 2000s. Another memorable contribution to the genre was Robert Jordan’s Wheel of Time series, which began in the ‘90s and had to be finished by author Brandon Sanderson after Jordan’s death in 2007. The Wheel of Time and other contemporary works brought non-Western themes and mythology to the forefront of the fantasy community; it had been primarily Euro-centric for several decades. Despite the fact that Game of Thrones seems to be everywhere these days, George R.R. Martin first published A Game of Thrones (the first installment in the A Song of Ice and Fire series) in 1996. Martin brought a darker, grittier tone to fantasy, which rippled out to other authors and is still a strong thread in the genre. For most of its history, fantasy was lumped in together with science fiction; the readership overlapped a great deal. It was also dominated by books written by and for white men. Female fantasy readers were a dedicated minority, but a minority nonetheless. 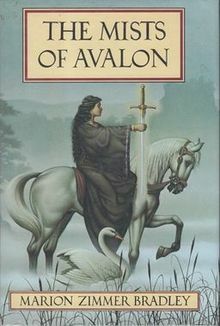 Marion Zimmer Bradley’s 1983 novel, The Mists of Avalon, was the first to gain serious attention for putting women at the center of fantasy. Bradley retold Arthurian legends with Morgan le Fay as the protagonist and brought a whole new batch of female readers to fantasy in the process. Of course, fantasy wouldn’t be where it is today without Harry Potter, returning us to fantasy’s origins in children’s literature. The phenomenal success of J.K. Rowling’s boy wizard owes much to the rise of the internet and its capacity to connect people with similar interests no matter their location. Word about the series spread more quickly than any other before, and once again, publishers chased Rowling’s success by investing in fantasy as a popular genre, rather than a niche one. Fantasy is a much different beast today than it ever has been. We can choose from traditional epic fantasy, dark fantasy, magical realism, sword & sorcery, urban fantasy, steampunk – the list goes on and on. And more selection is always good news for readers. Read more about the history of the fantasy genre here.